Alba’s Pizza and Italian Restaurant has been serving quality Italian food for over 30 years to the Astoria and Ditmars community. Our extensive menu is sure to have something to satisfy your taste for authentic Italian food. 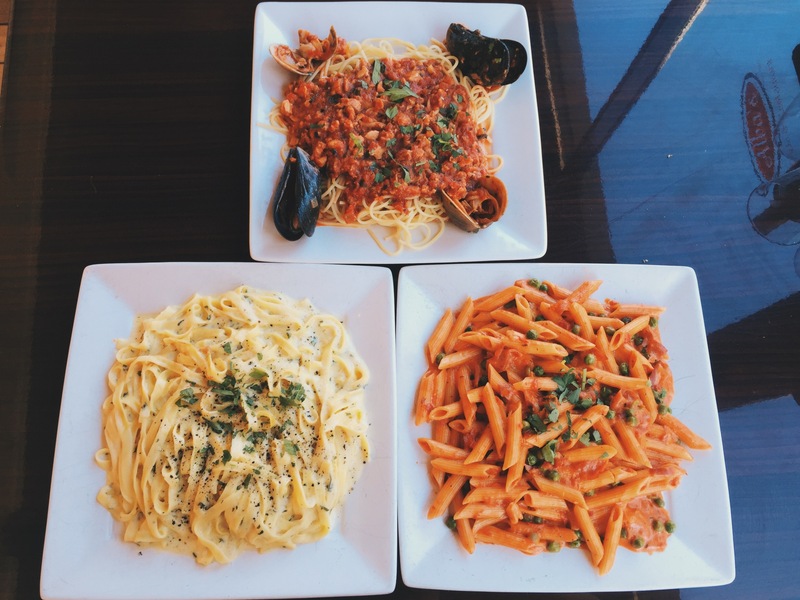 Monday through Thursday are pasta nights at Alba’s! We’re offering a pasta dish along with a house salad, bread, a drink as well as coffee/tea and a dessert of your choice. All for 12.95! We’ll be waiting with a table ready. Next time you’re in Astoria, make sure to stop by Alba’s. Order for delivery or sit down in our dining room or sidewalk cafe area and enjoy an Italian meal the way it was meant to be. Bring your friends, family and we’ll supply you with an amazing meal. Come in and check out our extensive draft, bottle beer and wine selection while relaxing by our fireplace!